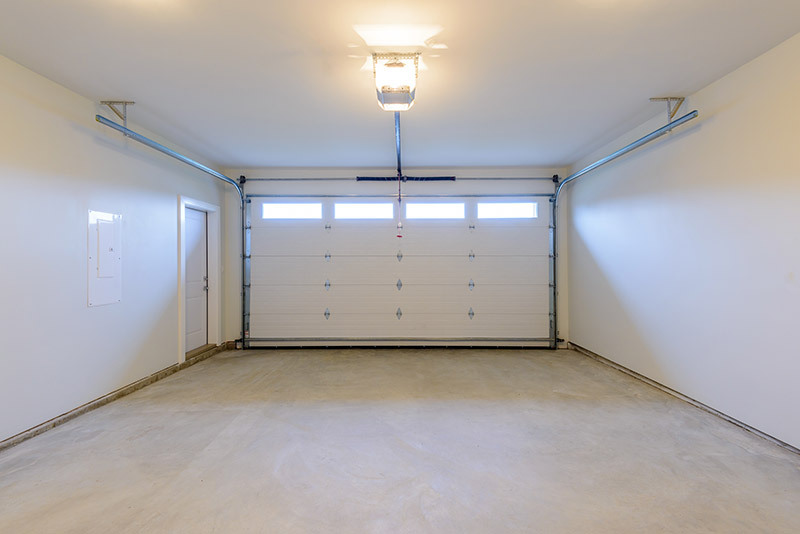 Many people forget how important their garage is as a part of their home. The garage door is one of the first things that people see when they pull up. It also houses a lot of important items. It’s also something that many people take for granted until it doesn’t work properly. So what is all the buzz about an insulated garage door? We all want a garage door that looks good, works well and protects our items. Unfortunately, the garage is one of the least insulated parts of the home with many opportunities for holes and gaps in the construction. For this reason, many people are looking into insulated garage doors to really get the garage doors that they expect. Everyone loves options. When shopping for an insulated garage door, you have plenty of options available to you. You can choose the garage door material first. Generally speaking, you can choose from aluminum, steel, wood, and composite wood. Steel offers the best insulation out of those options. After you’ve chosen the garage door material, you will need to pick out of three options: single layer, double layer, and triple layer. The more layers your garage door has the more insulation. Double and triple layer doors will generally be filled with polystyrene or polyurethane in between layers. Air from outside will be prevented from entering your garage by the multiple layers and the material in between the layers. This keeps extreme temperatures from getting inside. If you have heating and air conditioning in your garage, this is a necessity to prevent the controlled air from escaping. Most garages are either freezing in the winter or scorching in the summer. With insulated garage doors, you can help manage the temperature in your garage to make it more comfortable. If you need to be in your garage for whatever reason, you don’t want to bring your hat and gloves with you. Furthermore, if you wanted to spend time in your garage, you would definitely want insulated garage doors! Now, you can turn your garage into a “man-cave” for you and your buddies to relax after work. 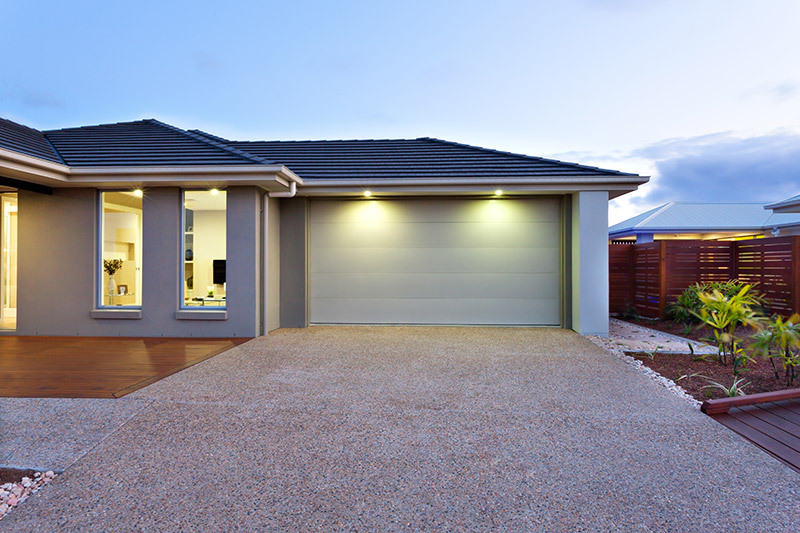 If your garage isn’t attached to your home, you may not see the point. However, one study showed that an insulated garage door kept the garage twelve degrees warmer in the winter. Even if you don’t plan on heating or cooling your garage, that will make a big difference. The temperature control helps you feel comfortable, but it also helps items that you keep in your car. Many cars don’t do well if they are forced to withstand frigid temperatures, and we all know how important our cars are. Other items that don’t do well in extreme weather are books and wooden furniture. Insulated doors can allow you to leave your items in your garage without worrying that they might get damaged. The garage is the least insulated part of your home. This means that a lot of indoor air can escape through the garage. Even if you don’t control the temperature in your garage, you will find that an insulated garage door can help control the temperature inside your house as well and save you on utility bills. The insulated garage doors are especially helpful if the garage is attached to the house and or if you plan to control the temperature in it. You won’t need to use as much money on air conditioning and heating for your home or your garage if you have an insulated garage door. Insulated doors are stronger. Everyone knows that garage doors are easy victims for any number of traumas from a ball or Frisbee hitting it to damage from pets. If anyone hits your garage door with their car or your area experiences a large hail storm, your door will be able to withstand more direct hits than a standard garage door. This means you won’t have to spend much on repairs. This also means that your door will last much longer. This can also keep your entire family more protected as well. As many as 50% of home robberies are caused by the burglar being able to sneak in through an insecure or weak garage door. An insulated door can make your garage door less vulnerable to these types of situations. Old garage doors are known for being extremely loud. Luckily, insulated doors can limit the amount of vibration that causes this noise. You will also notice that you will hear less noise from outside while you’re in the garage. While this may not be the most important factor when making your decision, it is another benefit nonetheless. 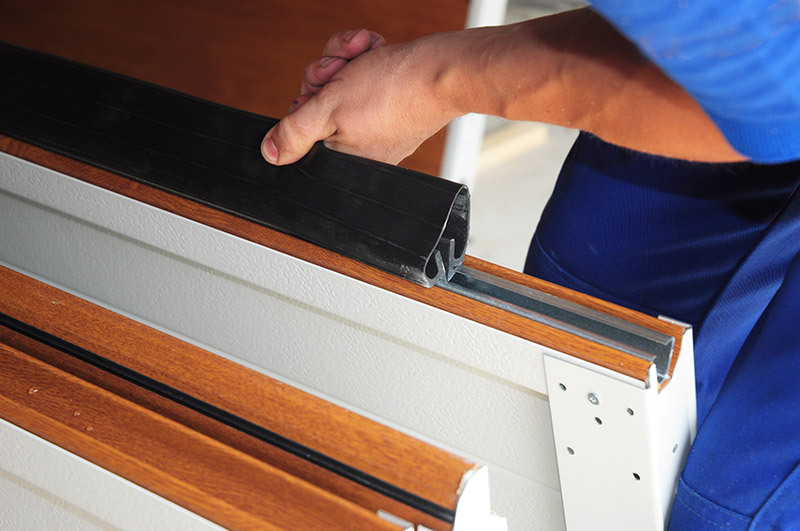 An insulated garage door is specifically made to produce a tight seal for your garage. There will be very little space for any unwanted critters to make their way into your garage. This means less screaming from your family and less pretending not to be afraid yourself. A properly thought-out garage door will make your home appear more attractive to potential buyers. A brand new door usually also comes with a guarantee to work properly for some time. While a new garage door can cost more, the buyer will generally get about 74% of the cost back during the sale of the home. If your garage door needs to be replaced anyway, it’s a no-brainer. It’s important to remember that your garage door isn’t the only place that air can escape in your garage. If you want to insulate your garage properly, ensure that the roof and windows won’t make your efforts futile. Your house isn’t the only part of your home that needs to have proper insulation. Your garage deserves the same treatment as well. The benefits are numerous, and it makes financial sense for anyone looking to sell their home or protect their items. Talk to your local garage door installers to see exactly what insulated garage doors can do for you! In the market for an insulated garage door? Then you’re in the right place. Feldco has durable, long lasting garage that’ll keep your garage safe and temperature-controlled. Start with a Free Quote today.